The award-winning Canadian documentary “Modified” will be broadcast nationally on CBC Friday March 29 at 9PM in all time zones (except 9:30 NL). The broadcast will be a shorter version of the original. Watch it tonight on CBC or view it later, streaming online. Read and share the CBC article the filmmaker wrote .You can also check for upcoming screenings of the full documentary, or organize a screening in your community. At the same time that CBC is showing “Modified” across the country, the National Observer has exposed the film “Real Farm Lives” as part of the corporate public relations campaign to promote pesticides and GMOs. Read the National Observer exposé: “Family farm documentary was part of pesticide lobby’s campaign to change how you think”. Also, TVOntario has responded after CBAN’s on-air challenge. 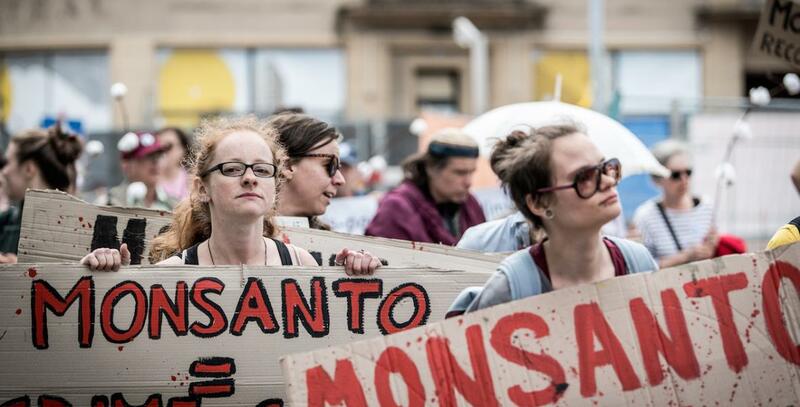 Many of you wrote to the TV station after CBAN’s coordinator Lucy Sharratt pointed out, on-air, that the three other panellists on the show about GMOs shared funding from the same huge biotech corporations, Bayer and Syngenta. In response, TVO has broadcast an interview with US professor Marion Nestle, discussing the impacts of industry influence over research, and the need for broadcasters to disclose the industry funding of guests. The Eurasian Economic Union (EAEU), including the countries of Russia, Kyrgyzstan, Kazakhstan, Armenia and Belarus, has introduced clear GMO labeling on all food and supplement products containing genetically modified organisms, starting from last week. Russia’s Federal Service for Supervision of Consumer Protection and Welfare (Rospotrebnadzor) announced in 2016 that it was inviting all EAEU countries to apply a “GMO” label on the packaging of food products that contain genetically modified organisms. The Rospotrebnadzor and the EAEU confirmed the proposed amendments to the technical regulations on the labeling of food products in the EAEU, despite objections from some European Union food manufacturers, who claimed that the new GMO label will cause problems for international trade. According to the new regulations the basic size of the GMO label must not be less than 5 mm. The technical regulations also require that the GMO label be applied in a manner that provides easy readability and visibility throughout the shelf life of food and supplement products. The announcement of the clear GMO labeling rules in the EAEU follows the disastrous GMO labeling rules announced in the U.S. last month, which according to Consumer Reports will not help consumers in America easily identify food that has been genetically engineered or that contains genetically modified ingredients. Meanwhile, in December 2018 the Kyrgyzstan government announced that it is set to become only the second country in the world to change their entire nation in to a 100% organic farming paradise. A Modified American Gothic – Modified Producer, biodynamic farmer, and award-winning filmmaker, Camelia Frieberg, with Aube Giroux. The film’s opening moments – the shadow cast by a mother and daughter crunching down a chilly dirt road in Nova Scotia – are the first steps taken in what would become a ten-year journey for filmmaker, Aube Giroux, and her mother, Jali. Giroux’s mother believed that with every bite of food we eat, we are making a choice about the kind of world we want to live in and the kind of agriculture we want to support, and it’s this ethos that propelled Giroux around the globe and deep into the fascinating, often clandestine, sometimes violent world of large scale agri-business and the fight – legal and otherwise – for and against GMOs. In Modified, Giroux – relentlessly egged on by her mother – sets out to discover why GMO’s are not required to be labeled in Canada and the United States, while in 64 other countries around the world, they are. 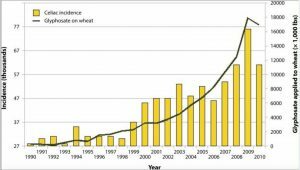 “Additionally, the number of people diagnosed with gluten intolerance and celiac disease has risen in tandem with the increased use of glyphosate in agriculture, especially with the recent practice of drenching grains in the herbicide right before harvest, which started in the 1980s and became routine in the 1990s. The study, published in the journalInterdisciplinary Toxicology in 2013, was completely ignored by the media except for Mother Earth Newsand The Healthy Home Economist.